Anna Maria Island still has all of the charm of an Old-Florida island and, as with any place, it’s the people who give most of the island’s unique character that brings visitors back again and again. The long term islanders that cannot leave, the relatively new inhabitants many who discovered and fell in love with this place whilst on a vacation, and also the visitors most of whom come back year after year embracing the culture of this wonderful little island. Each month we will be interviewing an islander to give you a snapshot of what island life is all about and find out more about their drive to run a business on AMI with such passion. This month we have our very own marketing manager Zoe in the hot seat! What job do you have on Anna Maria Island? I am the business manager for the Pineapplefish homes and I am also responsible for the Marketing of the Historic Green Village. Tell me more about your business? Pineapplefish are a selection of 8 unique, high quality Anna Maria Island rentals, in some fantastic locations around the island. And, the Historic Green Village, which was built by the owners (Mike and Lizzie Thrasher) of Pineapplefish, is a sustainable retail park, which is powered solely by renewable energy sources. It is where you will find Hometown Desserts, AMI Outfitters, Bob Brown Art Gallery and Libby’s Island Jewelry. What drives you in your business? Passion for everything green certainly; and a love of Anna Maria Island as well as a want to help people enjoy great vacations there. Sadly a lot of my time is spent in front of a computer screen in the UK. Most of our marketing activity is online! What does your business stand for in the AMI community? Pineapplefish and the Historic Green Village have been created out of a real love for Anna Maria Island and passion for all things honest – honest to the people and community, and honest to the environment. The owners Mike and Lizzie have built some fantastic projects like the unique vacation homes of Pineapplefish, the redeveloped buildings which are now Beach Bums and Anna Maria General Store, and the exciting Green Village, a benchmark, sustainable development with five commercial and two residential units that is powered by renewable energy sources, one of only a handful of projects like this worldwide. All efforts are geared to develop the AMI community, place it on the global map of high quality holiday destinations, and cherish the outstanding beauty this island boasts. Tell me a quirky story that characterises your business? 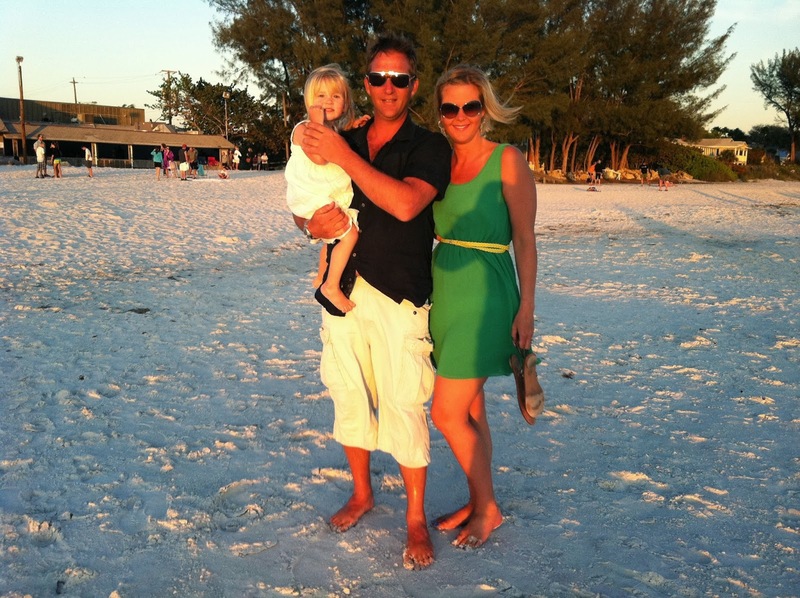 Mike and Lizzie are from the UK and discovered Anna Maria Island whilst on vacation in 2003 – they loved it so much that they settled here in 2007, and started the exciting series of projects that would build them a home away from home and much more. I think this characterizes the ethos of our business – passion for the island and for its community, be it long standing islanders or visitors, we’re all part of a big loving family. I don’t live on Anna Maria, but I work for both Pineapplefish and the Historic Green Village, from the UK, so I have been lucky enough to visit many times. What family do you have here? I don’t have family, but I have lots of great friends. I really do consider Anna Maria Island my second home. What do you love most about Anna Maria Island? So much! The culture, the people, the sunshine of course and the opportunity to really unwind! What is your favourite weekend pastime? When I’m on the island, it has to be cycling for me and particularly my children. Being in the UK and living in a busy town, we don’t get much opportunity to cycle, so having the safety of Anna Maria, ease of access for bikes and of course the weather, we just love to get out on a bike as much as possible. What is your favourite restaurant on Anna Maria Island? And Why? It has to be Beach Bistro. I love sitting at the bar and enjoying the amazing food and being helped with my wine selection by the great bar staff. What is your favourite beach on Anna Maria Island? And Why? Tampa Bay Beach. I love watching my children play with the beautiful backdrop of the City Pier. Zoe is one of AMI’s true ambassadors, and even if she doesn't live on the island, she is part of the big Anna Maria family. Her biggest drives are her children, and doing the best she can for them. Her perfect day would be on the beach with her children – Tampa Bay Beach preferably! Her most favourite place, after Anna Maria of course, is Orlando (close enough!) where she can enjoy Disneyland with her daughters and Harry Potter’s Hogwarts for her own delight. If you would like to take part in an interview, why not leave us a comment and let us know! Alternatively tell us if there are any questions you would like us to include next time.